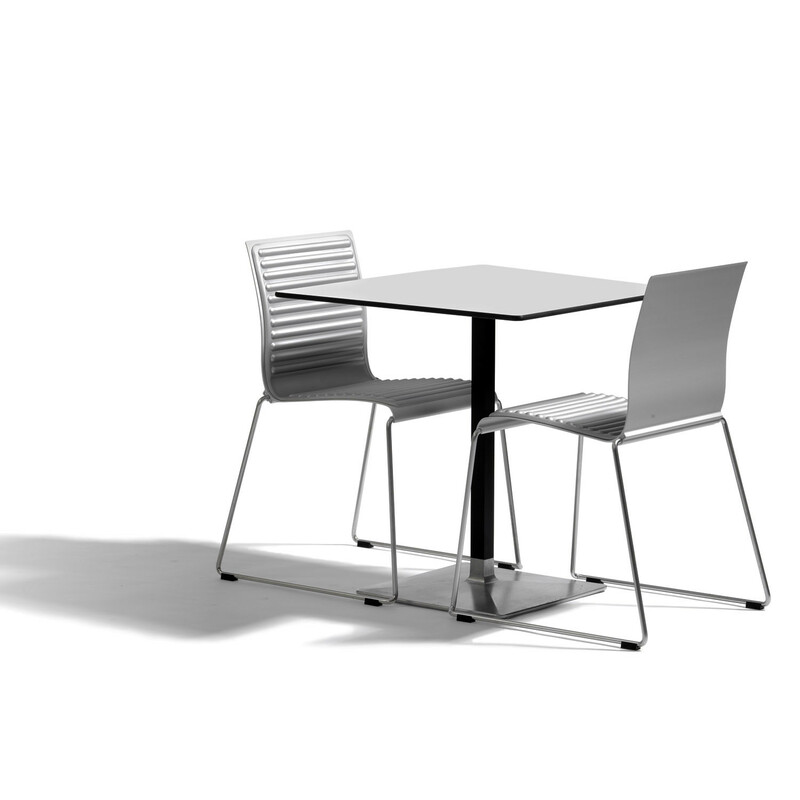 Sting Chair O30 is a stacking chair in aluminium and stainless steel which is linkable and can be used both indoors and outdoors. 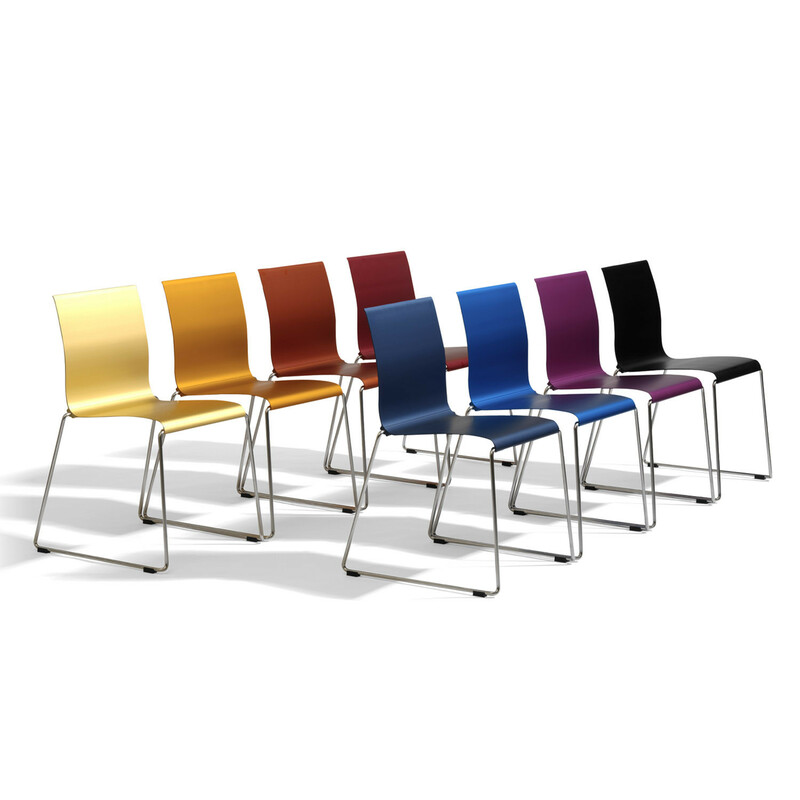 Very comfortable, with a slight flex in the backrest, Sting breakout seating is usable in many different environments: cafés, canteens, breakout areas, conference and training centres and more. 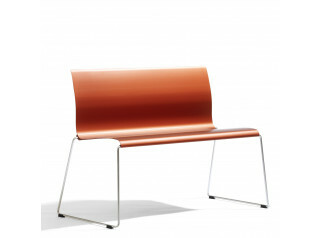 Sting, designed by Borselius & Mattson, is also available as an armchair. 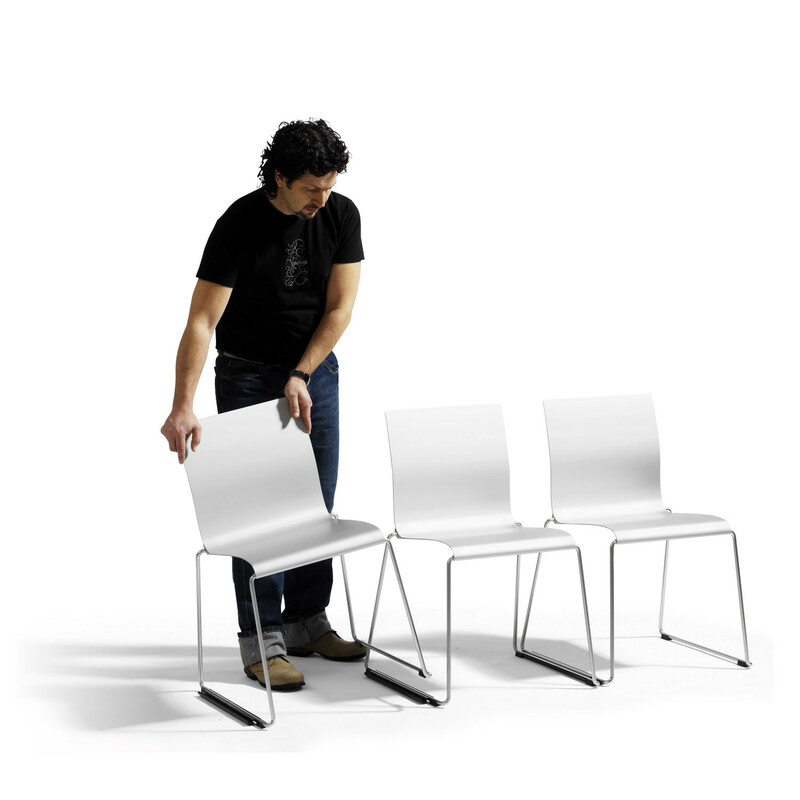 Eco-labelled with the Nordic Swan, this sled based seating solution is 100 % recyclable. 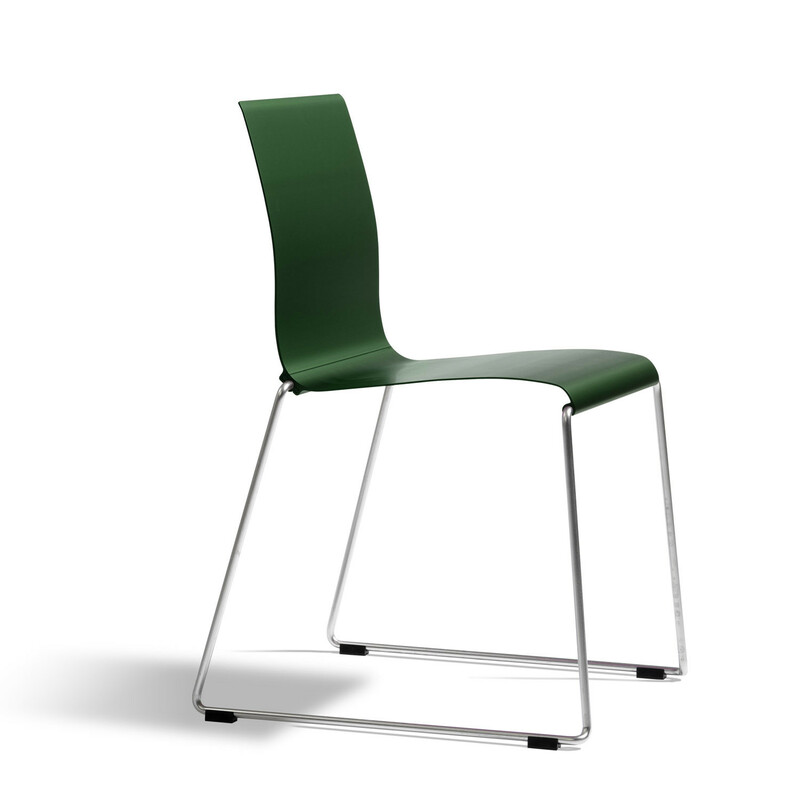 A result of an extremely manufacturing-orientated design process, the seat and backrest of Sting is made of aluminium that is extruded in lengths up to 60 metres long. The lengths are later sliced into pieces and anodised; becoming seats and backs of chairs. 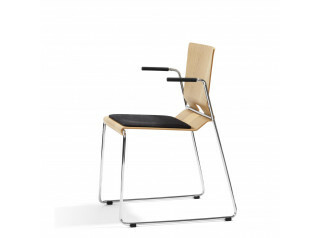 As far as we are aware, it was the first chair on the market where this technique was used. The seat and the backrest section are jointed together almost invisibly. 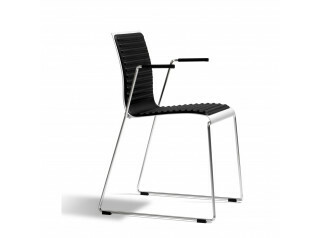 No screws are needed; the stainless steel legs fixate the frame and locks the construction. 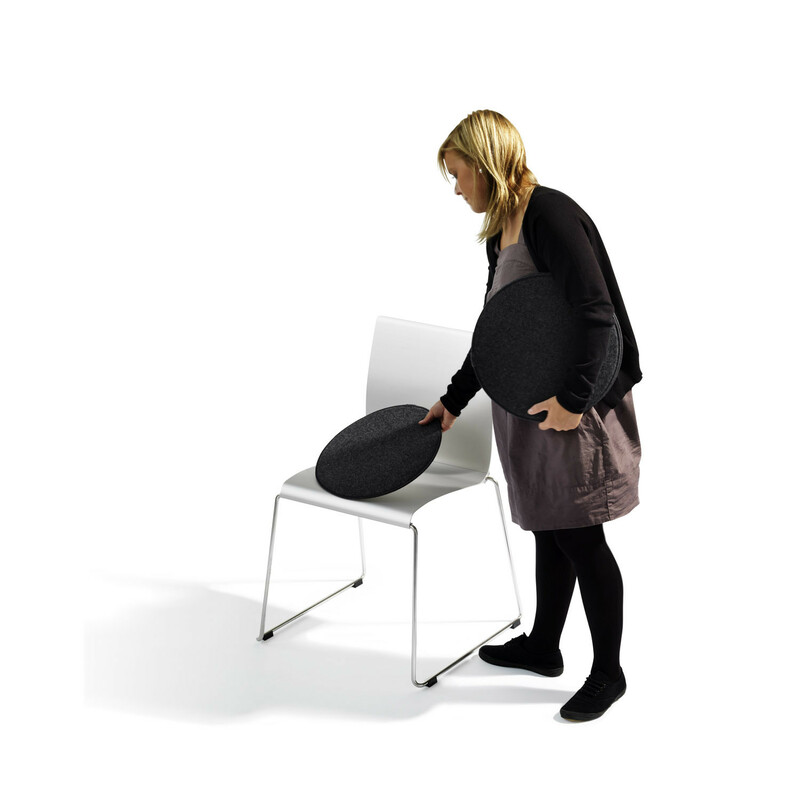 Features acetal plastic feet with felt. 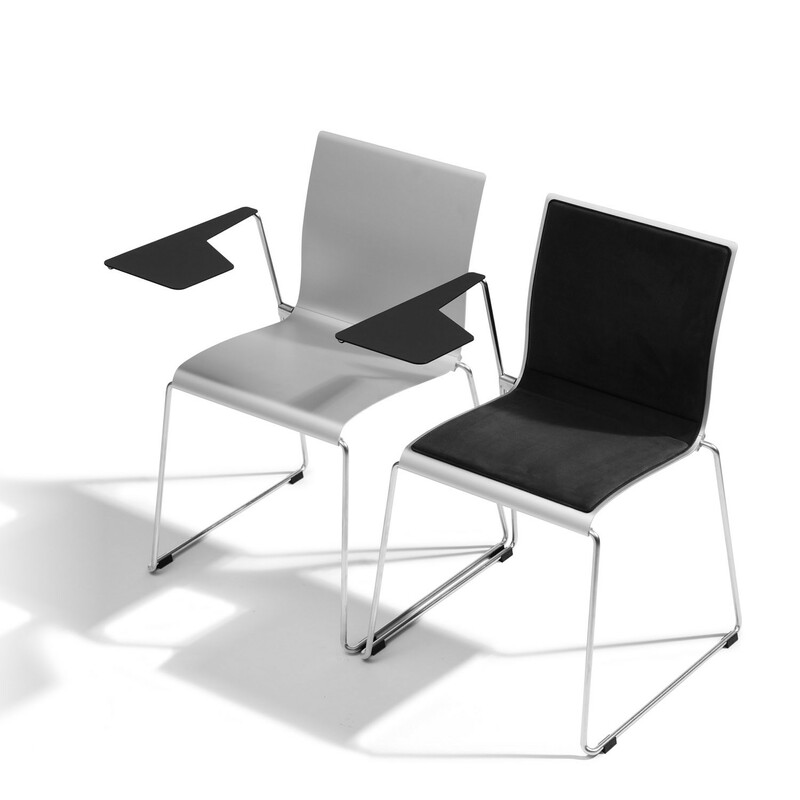 With foldable and removable writing table. 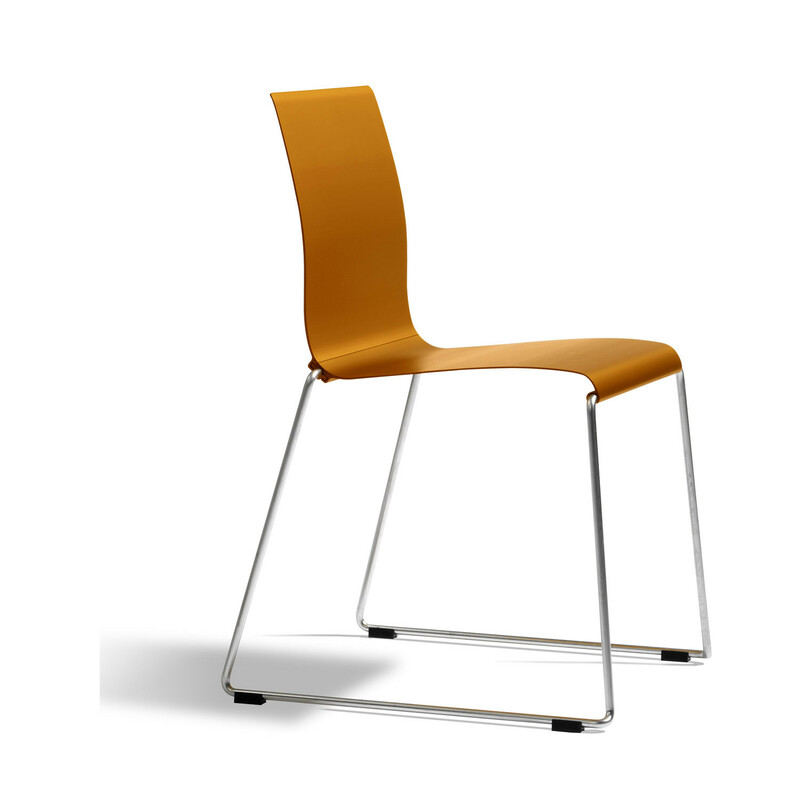 Sting O30 Chair stacks up to 50 pieces in a trolley and is linkable. 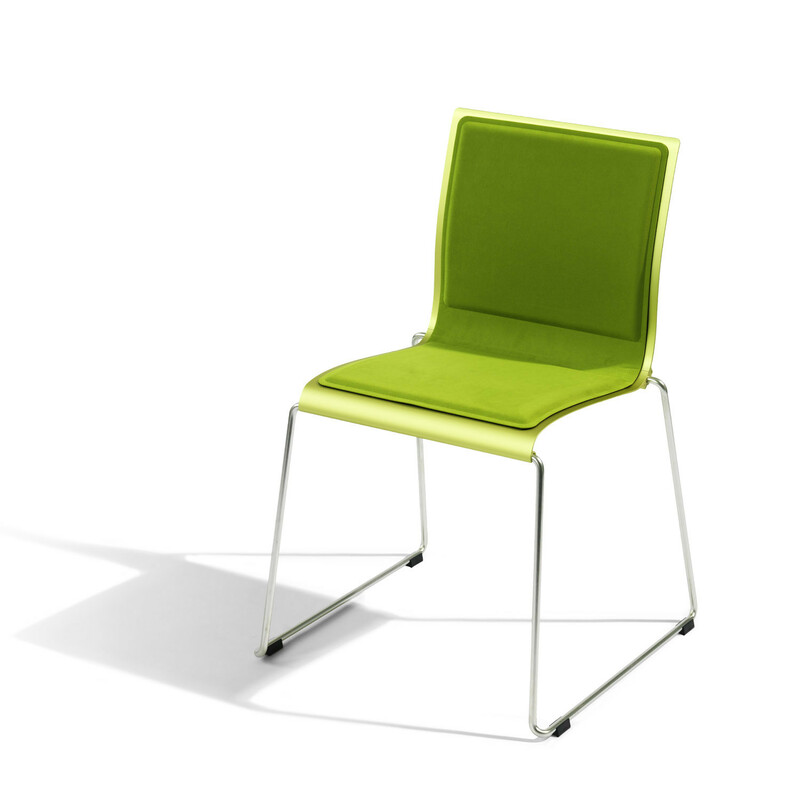 It is available lacquered and with different seatpads including leather. White RAL 9010 shiny lacquered. 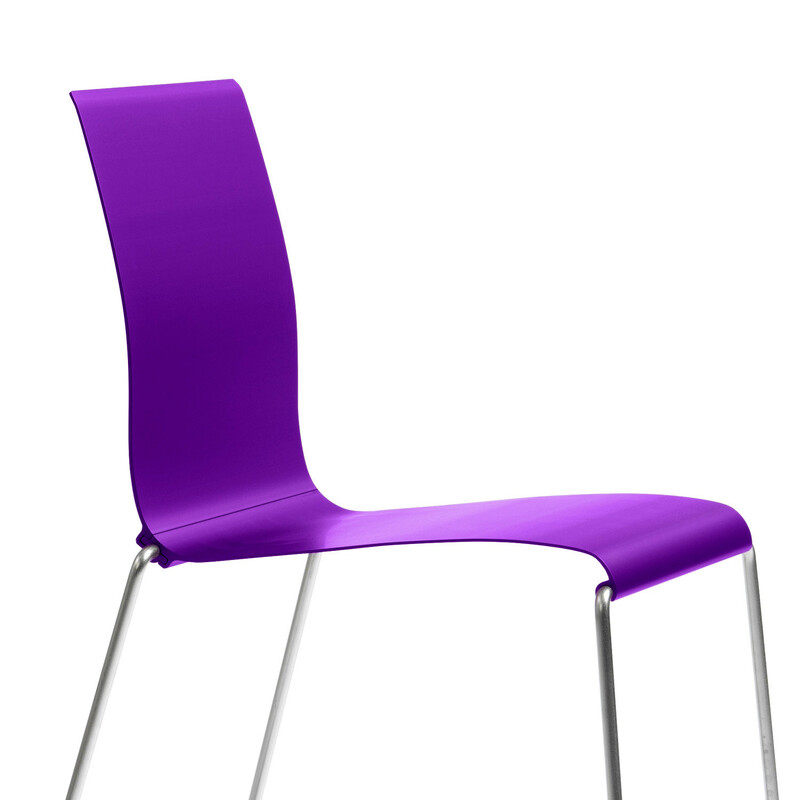 Seat and back can be lacquered in a specific RAL powder-coated colour for projects. 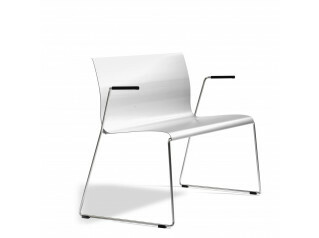 You are requesting a price for the "Sting Chair O30"
To create a new project and add "Sting Chair O30" to it please click the button below. 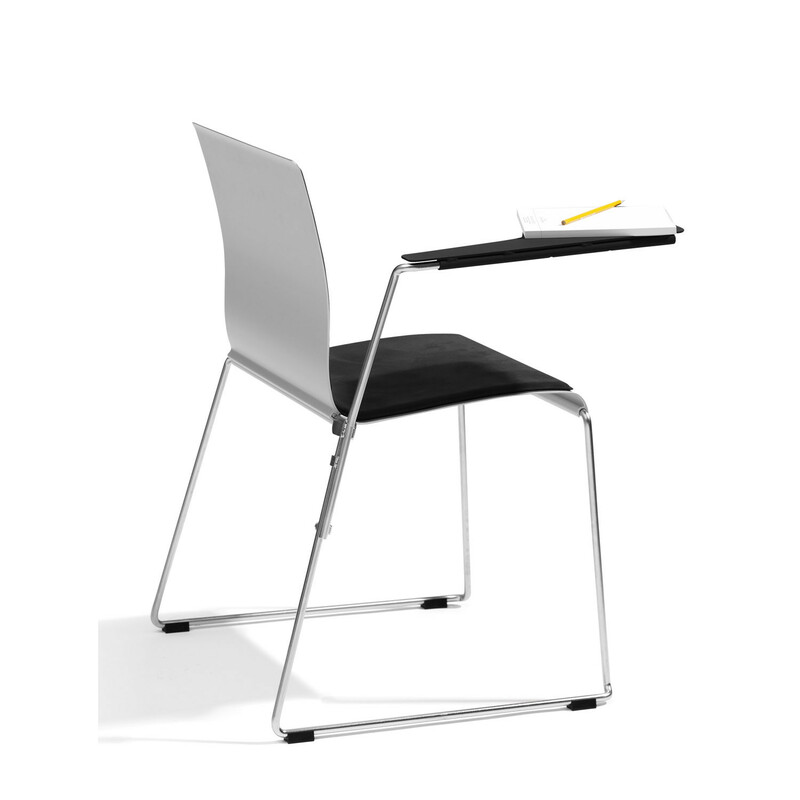 To add "Sting Chair O30" to an existing project please select below.